This version has "De-Control" printed on the back sleeve (vertical stripe on the right), and silver/black labels. There is a similar version but with gold/black labels: Unclean. 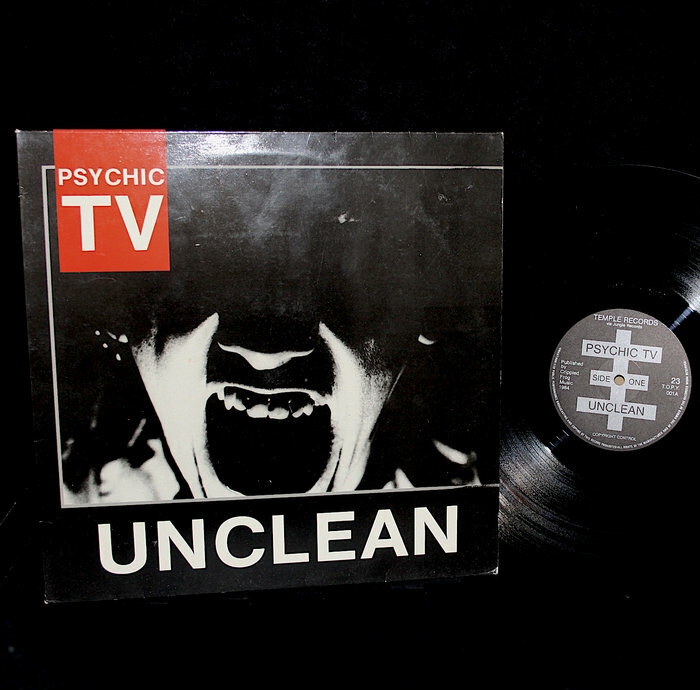 Also another version without "De-Control" printed on the back sleeve: Unclean. Recorded at the Building Site April 1984. Published by Crippled Frog Music 1984. Distribution By Jungle, 24 Gaskin Street, London N. 1. England. "Unclean Monks" is not listed on the release.